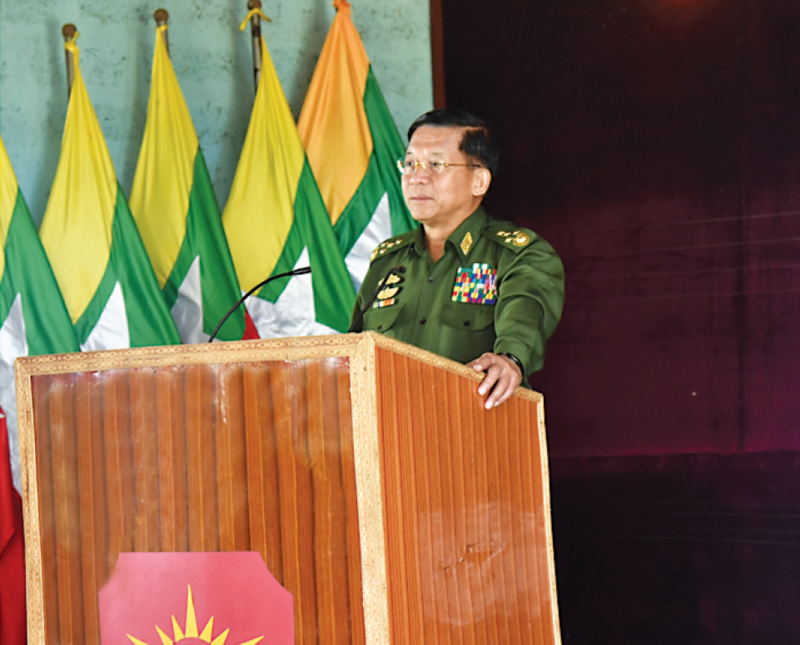 Commander-in-Chief of Defence Services Senior General Min Aung Hlaing, accompanied by officials, arrived at North-East Command Headquarters this morning, and at the meeting hall, Commander of North-East Command Maj-Gen Aung Zaw Aye reported on arrangements for security, peace and stability within the command. The Senior General gave necessary instructions. 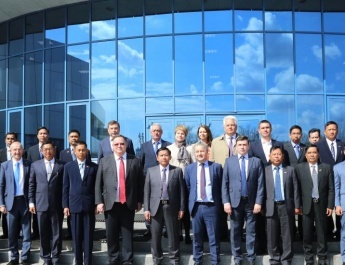 Next, the Senior General went to Laukkai,Kongyan and Nyankhwan stations, separately met officers, other ranks and families from the stations and made speeches. 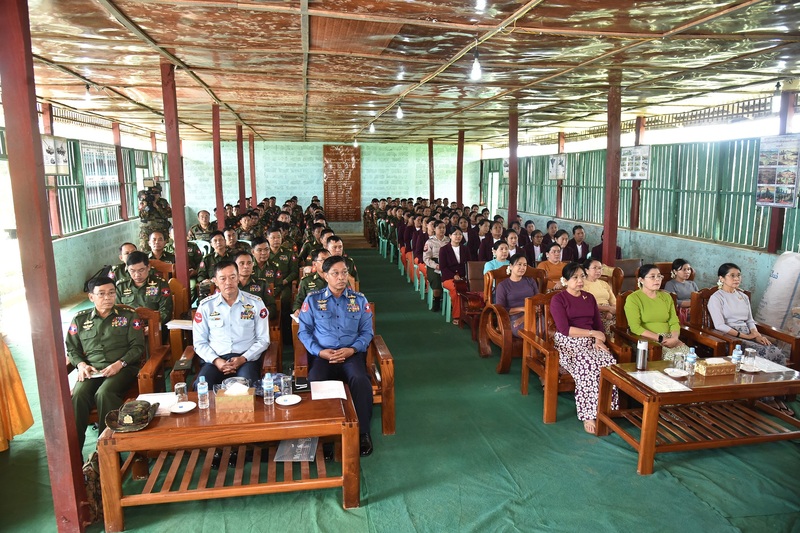 Also present at the meetings together with the Senior General were his wife Daw Kyu Kyu Hla, Commander-in-Chief (Navy)Admiral Tin Aung San, Commander-in-Chief (Air) General Maung Maung Kyaw,senior military officers from the Office of the Commander-in-Chief, Commander of North-East Command Maj-Gen Aung Zaw Aye and officials and officers, other ranks and families from the stations. The Senior General said those discharging duties in this region are working for border region peace and stability. He said he took pride of them as they have to be shouldering their duties courageously amid difficulties such as poor transport, rough climatic and geological conditions. The Tatmadaw’s duty is to protect State independence, national sovereignty and the property and lives of the citizens. 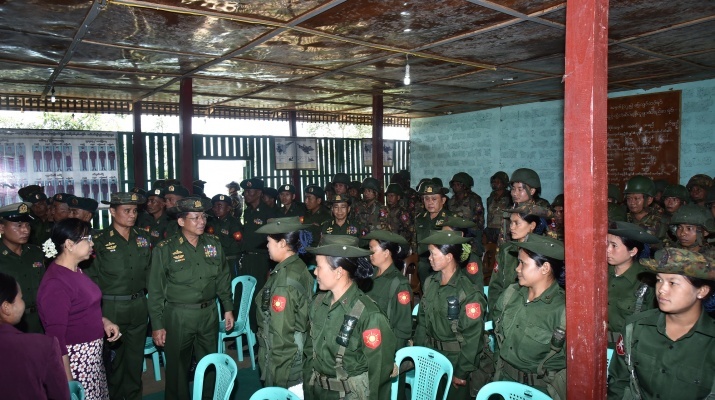 The Tatmadaw has defended the State and successive governments in successive eras,and the protection will continue. Everyone wants to live in peace and improve their lives by earning a better living. 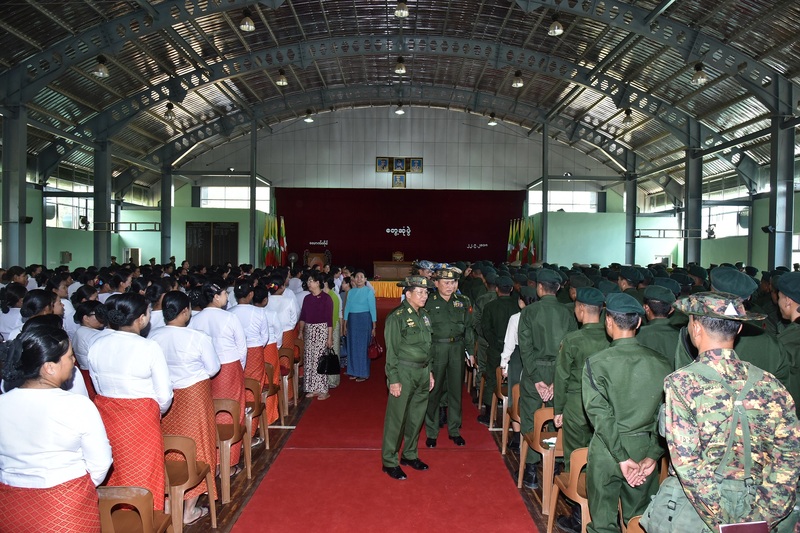 The Tatmadaw is working towards the peace and security of the people. Moreover, it is participating in rescue and relief measures in times of natural disaster and fulfilling health and social requirements. In performing such duties, Tatmadawmen must have capability and good discipline. 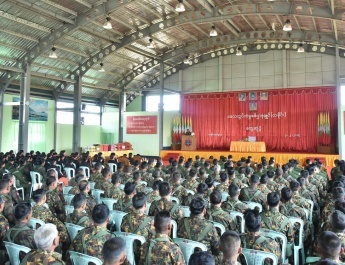 Discipline means do’s and don’ts and it must be exactly followed.Good discipline of individuals will ensure the discipline of the whole Tatmadaw. So they have to discharge their duties in a correct and dutiful manner. In shouldering duties, individuals must have efficiency and receive training as prescribed to be able stay fit and healthy. It is necessary for Tatmadawmen to wear the prescribed uniforms in severe weather conditions.They also need to stay fit and healthy bywearing military equipment. 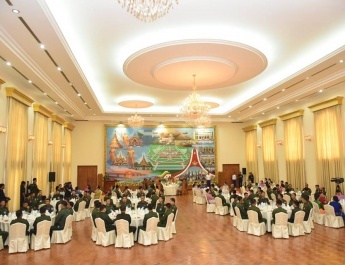 Military-owned agricultural and livestock farms must be systematically run for the welfare of Tatmadaw families. They also need to pursue a healthy lifestyle by eating nutritious foods.If they suffer from impacts of diseases in illness,they will face losses of money and labour. As a saying goes: ‘‘life relies on wisdom,”they need to avoid misconducts for their health conditions such as smoking, chewing betel quid, drinking alcohol as much as they can.Those at control and management level should make fair management over them to be able to discharge duties with health and happiness. The Senior General urged them to be oneness with local ethnic people in their organizational area. They have to contribute towards regional development tasks in their respective sectors and share experiences with the local people. 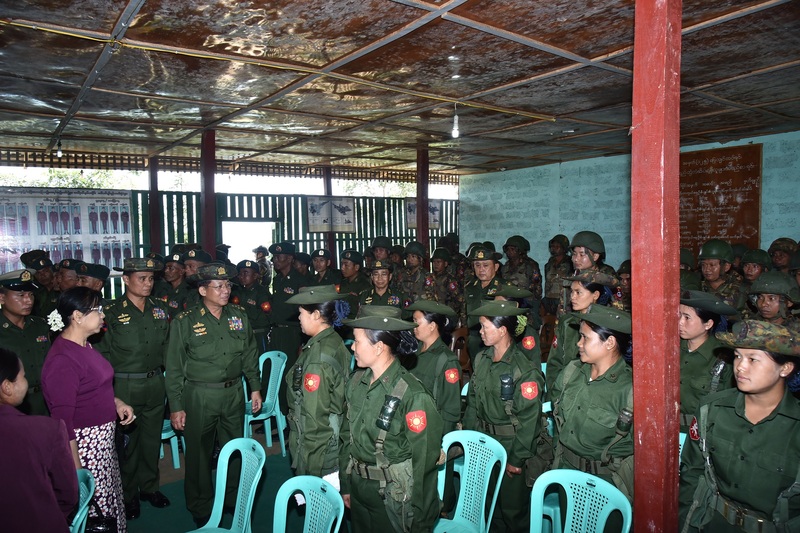 The Senior General stressed that they must try hard to become their military units on which the local ethnic people rely. The Senior General presented foodstuffs for officers, other ranks and families of stations to officials. 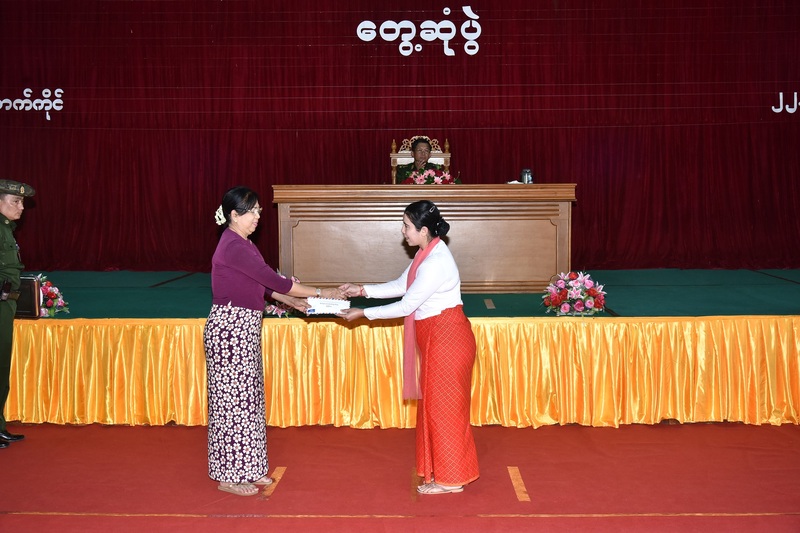 Daw Kyu Kyu Hla, wife of the Senior General, also gave cash awards for the maternal and child welfare association of the station through officials. 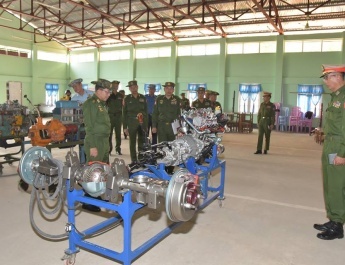 Admiral Tin Aung San, General Maung Maung Kyaw and Lt-Gen Than Tun Oo of the Office of the Commander-in-Chief (Army) presented books on various subjects, foodstuffs and sports equipment for officers, other ranks and families to officials. 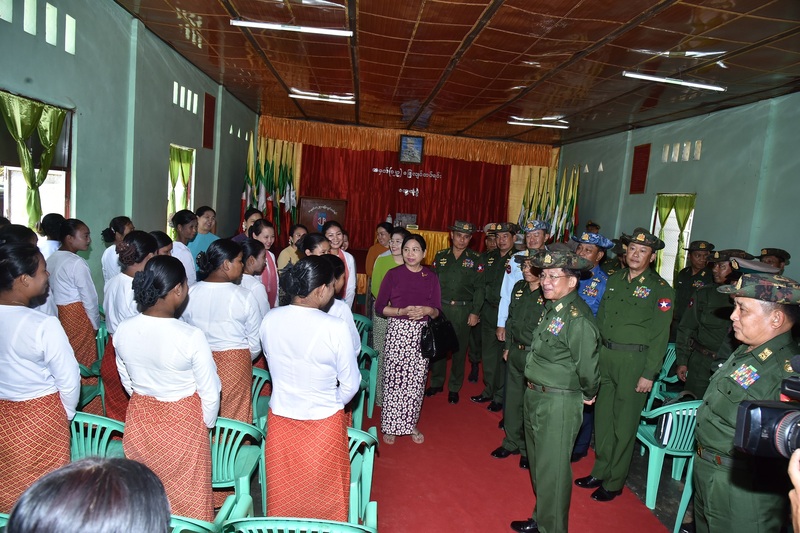 After the meeting, the Senior General and party cordially greeted the officers and other ranks and presented cash awards to wives of servicemen who bravely safeguarded the headquarters of the battalion. 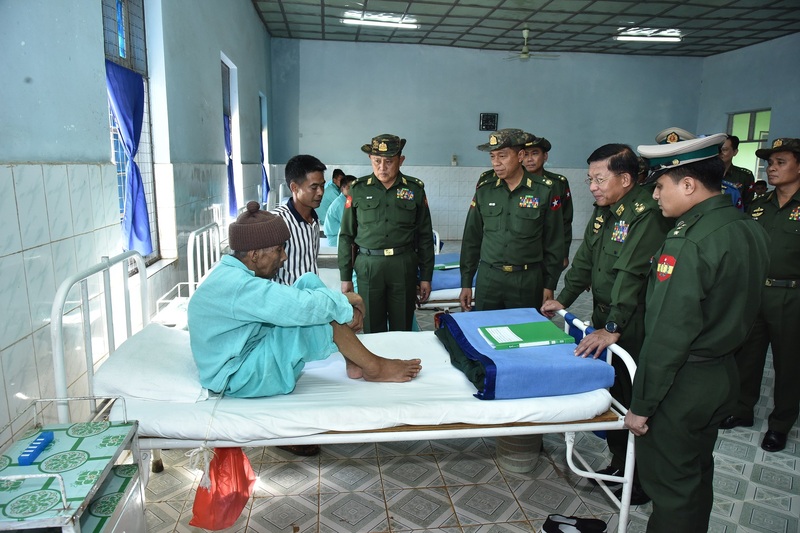 The Senior General and party, accompanied by officials, cordially greeted and comforted officers and other ranks receiving medical treatments at the military hospital in Laukkai Station and presented foodstuffs. Likewise, Daw Kyu Kyu Hla cordially conversed with members of families of servicemen receiving treatments at the women’s ward. She presented foodstuffs to them and cash award for today’s born baby and mother. The Senior General and party inspected the hospital and fulfilled the requirements submitted by officials after giving necessary instructions. 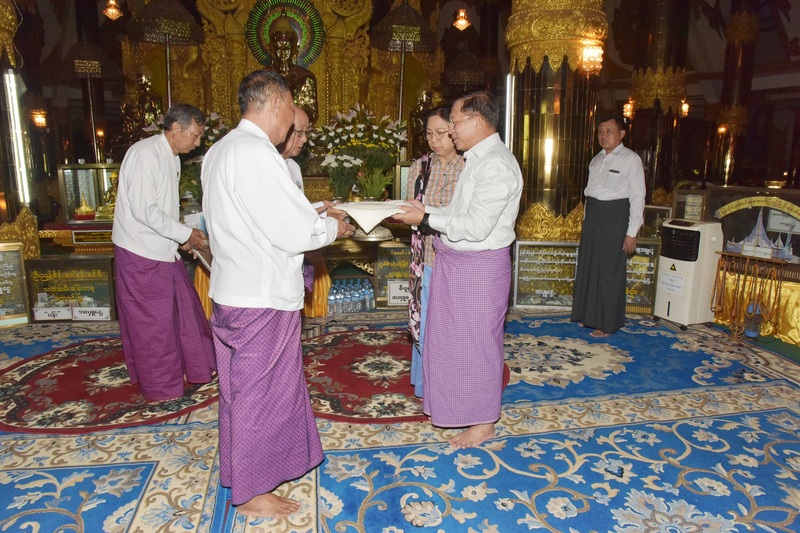 In the evening, the Senior General, wife and party paid homage to Yantaingaung Hsutaungpyae Pagoda in Lashio. First, the Senior General and wife offered flowers, water and oil lights to the Buddha image after paying homage. They presented cash donations to the pagoda board of trustees.After signing the visitors’ book of the pagoda,the Senior General and party went round the pagoda clock-wise.